A natural remedy for the symptomatic relief of cold sores. Powerful and proven, this therapeutic blend of 7 active plant-based oils uses lavender, eucalyptus and tea tree to kill certain bacteria, viruses and fungi while providing relief from the discomfort and pain of cold sores. Listed as a treatment with the Therapeutic Goods Administration (TGA). 10ml. Packed in dripper bottle; no spillage; no cross-contamination. Regular use may inhibit further cold sore outbreaks. The only 100% natural cold sore treatment made in Australia. Safe for use by the whole family, this soothing treatment can be applied directly to cold sores, shingles and hives. 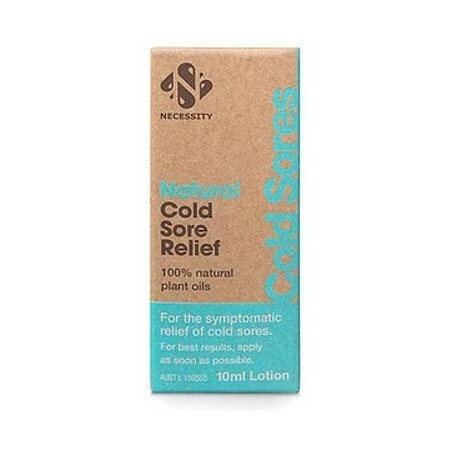 Listed with the Therapeutic Goods Administration as an over the counter (OTC) treatment for the symptomatic relief from the discomfort and pain of cold sores. 10ml. Glass bottle with plastic cap.